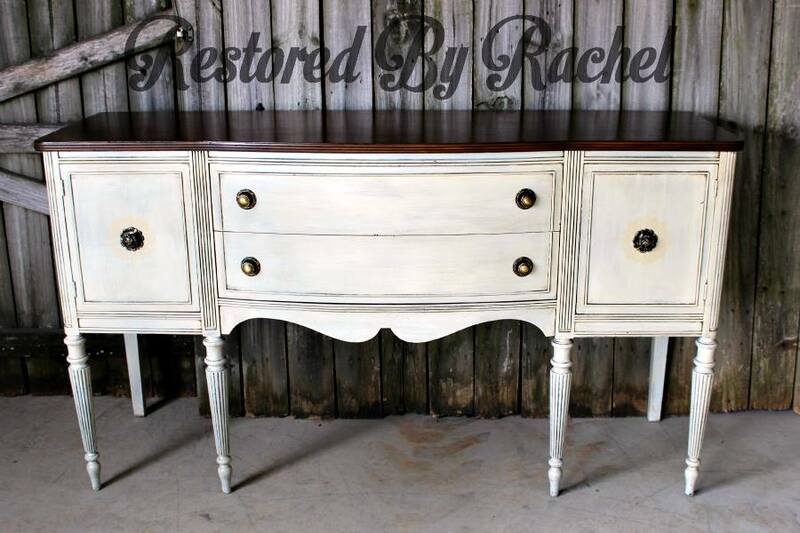 Check out this great technique by Restored By Rachel﻿. "Reverse glazing, it's my new thing." "I wanted this Sheraton buffet to have a rustic, layered look but I still wanted it to be smooth to the touch. I sanded it down and applied 'Dark Chocolate' as a base coat. 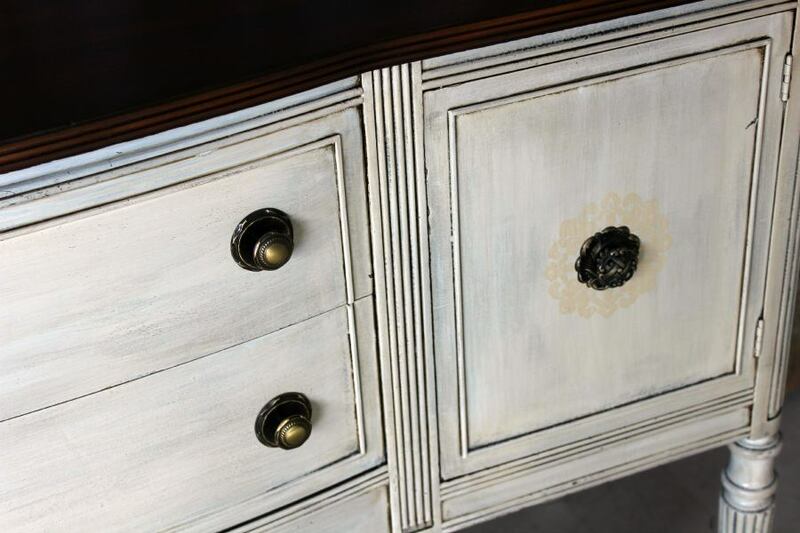 Then a little heavy handed, applied 2 coats of 'Antique White' leaving it heavier in some spots and less in others to give a depth of color. I was sure to spare the corners and crevices so the base coat would still show and create a nice shadow (hence the "reverse glazing"). I then made a little stencil using 'Linen' on the doors and heavy glazed the whole thing. The top is 'Antique Walnut' gel stain, my 2nd favorite after Java. 3 coats of High Performance Top Coat in Semi and she sold in a snap!"